When most folks think of Kitty Hawk Kites, it is hang gliding, not necessarily kites, that comes to mind. Kitty Hawk Kites’ Nags Head location is just across the highway from Jockey’s Ridge State Park, and passersby are frequently treated to the sight of foot-launched hang gliders gracing the sky above the largest sand dune on the East Coast. But adventure isn’t limited to Jockey’s Ridge. Kitty Hawk Kites offers a broad array of awe-inspiring, adrenaline-pumping, downright crazy fun activities from Corolla to Ocracoke. “You can fly,” the company slogan, is spot on. If you can run down a sandy hill, and with a bit of coaching, you really can fly. The sport of hang gliding is ever evolving, and new ideas continue to inspire Bruce Weaver, the hang gliding school’s top gun. One recent advancement is a hang glider with a little cart on bottom. Bruce flew a prototype in New Hampshire, where Kitty Hawk Kites has another school. He loved it. He says part of the challenge of getting a traditional glider off the ground is that the student pilot has to run and keep the glider in balance as it lifts off, and that’s not always easy for a novice or persons of a certain age. With this new rig, the pilot can sit down, and with the balloon wheels providing balance, there’s less anxiety for beginners and a better chance for a first flight success. The Kitty Hawk Kites hang gliding instructors up on Jockey’s Ridge are always eager to share their knowledge of the sport. So when Joy Greenwood became the new Jockey’s Ridge State Park Superintendent last year, she was coaxed by more than one instructor to experience her first flight. “Once the initial nervousness was over, I was able to take things in a little more,” she said. “The beauty of seeing the ocean off in the distance and feeling the air blow over my whole body was exhilarating. I can’t wait to get more practice and go on longer trips.” Many more first-person comments like Joy’s can be seen online at blog.kittyhawk.com. 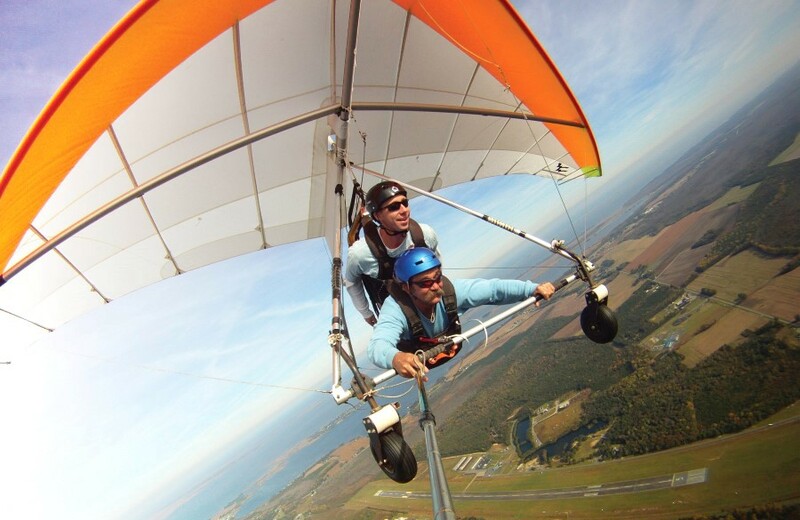 Hang gliders are provided by the school for lessons, and the school is located within Jockey’s Ridge State Park. Owner John Harris has come a long way from opening the first Kitty Hawk Kites store in 1974. Back then they sold kites and t-shirts from an old board and batten garage located between the ocean and Jockey’s Ridge, just before the ridge became a state park. John is also a luminary in the world of free flight. Among his many contributions to the sport, he has served on the board of the United States Hang Gliding Association and founded the Professional Air Sports Association (PASA). He also founded the Rogallo Foundation and served as president. Francis Rogallo, a NASA guy, was the inventor of the flexible wing and, thus, is considered the father of hang gliding. While hang gliding on Jockey’s Ridge is the flagship location for Kitty Hawk Kites, they also have a Flight Park located on the beautiful grounds of The Cotton Gin across the Wright Memorial Bridge on U.S. Highway158 near Grandy. With tandem hang gliding you’re harnessed into a glider with an experienced pilot controlling the wings. You’re towed into the sky then released for a graceful dance of a flight back to the ground where you land softly on the glider’s wheels. It feels like you’re floating. You can be towed to 2,000 feet or a mile – you can only imagine the eagle-eye view of the Outer Banks from that high. The park is managed by world-class pilot Jonny Thompson. As a tow pilot, he pulls the hang gliders up, not just to the best elevation, but to where he finds a good thermal, or lifting air, into which the glider pilot can release. “It’s always been about the flying for me. As a tug pilot it is my job to give every glider pilot who hooks up to my rope the very best tow possible. From the moment we first start the take-off roll, I try to fly the perfect speed and direction. As we get higher I am searching for the best part of the sky for lifting air; thermals are never in the same place for very long, so it is the tug pilots’ job to try to give the gliders the best possible ride.” Likewise, the glider pilot is focused on giving his passenger the best tandem flight experience possible. The warm, shallow waters of the Albemarle, Pamlico and Currituck sounds are all ideal settings for a wide array of water activities. Windsurfing was the first thrill-seeking water sport on the soundside of our Outer Banks. So much so, that on the Pamlico Sound, where it meets the inside elbow of Hatteras Island, it became known worldwide as Canadian Hole. Many thousands of our northern neighbors travel there to tackle the predominately side-shore current. Today, the kite boarding craze has eclipsed windsurfing in popularity. It helps that kite boards are easier to transport and there’s no real set-up beyond launching one’s kite. 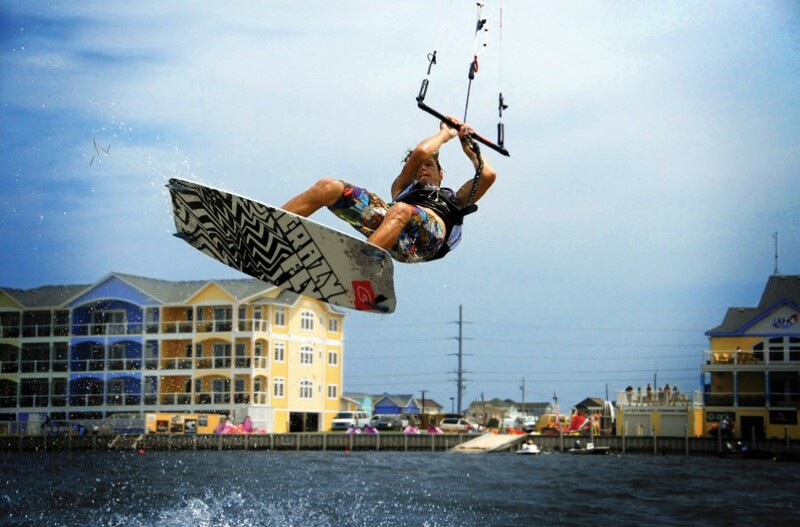 Kitty Hawk Kites has opened a kite boarding resort and school on the sound in the Rodanthe/Waves area of Hatteras Island with all manner of small watercraft available to enjoy. And, it’s an easy walk across N.C. Highway 12 to the oceanside for adventure on the high seas. Take a look at their website highlighting information on this wildly popular sport: khkkiteboarding.com. Kitty Hawk Kites offers a broad array of adventures in many locations throughout the Outer Banks, from Corolla all the way to Ocracoke Island. 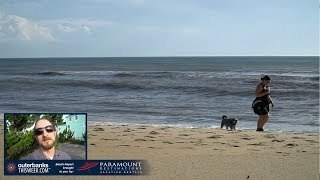 In fact, they have expanded their reservation services to include a select group of Outer Banks companies, giving visitors an opportunity to see and reserve all manner of adventures and activities. If you’re not into flying high above the earth or across the water attached to kites, perhaps you’ll find tours that focus on horses, bears, dolphins or even ghosts more to your liking! 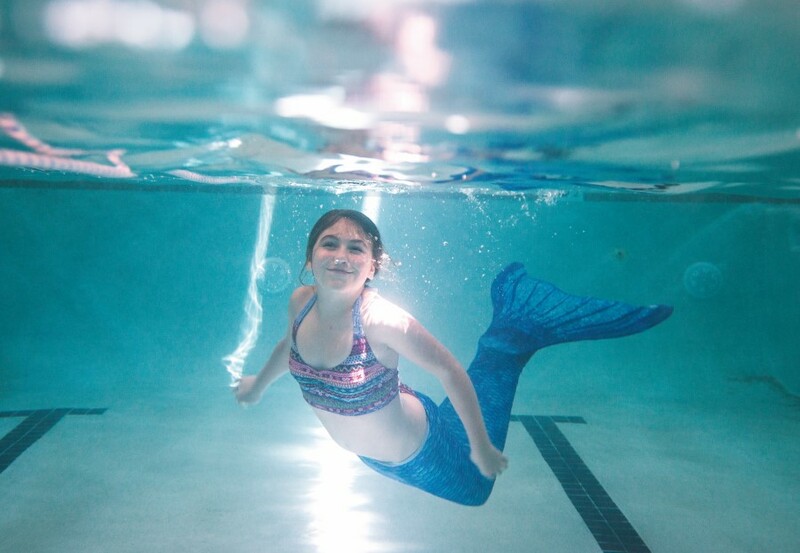 Maybe surf lessons or going to mermaid school strikes your fancy. 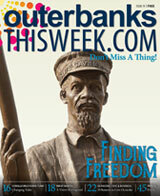 There is something for everyone, all on one site: kittyhawk.com. For example, one new and very popular adventure involves a boat ride and a wine tasting. The boat, which seats up to 16, departs from the Town of Duck and motors across the very scenic Currituck Sound, making landfall at a 1903 hunting lodge boathouse. Passengers disembark to enjoy a brief ride in an open-air safari truck, arriving at Sanctuary Vineyards for a behind-the-scenes tour and a private tasting of their award-winning wines. The name, Kitty Hawk Kites, as much as it is associated with the now worldwide sport of hang gliding that put the company on the map, is the name to remember whenever you’re looking for adventure. Go ahead, stretch your boundaries!